Advancing Silicon Carbide and Gallium Nitride technologies. 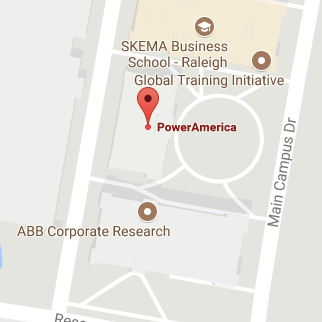 PowerAmerica is a proud member of Manufacturing USA. Manufacturing USA exists to secure U.S. global leadership in advanced manufacturing by connecting people, ideas, and technology. Our network of 14 institutes spans a range of key technology areas and brings together manufacturing, government, and academia. Our public-private partnerships breathe life into promising early-state research, propel new products to market, and train the next generation workforce. These efforts bridge the gap between domestic innovations and products made here by a skilled U.S. workforce. Manufacturing USA institutes reach more than 1,300-member organizations, collaboratively work on over 270 major research and development projects to solve industry’s toughest challenges using advanced manufacturing technology, leverage $2B in private investment and $1B federal funds, and train more than 200,000 people on advanced manufacturing skills. Together we are securing the nation’s future. Sign up for our newsletter & events notifications.